Good. A beautifully unique way to experience the ABCs, Alphablock features thick pages cut into the shape of each letter, creating a peek-through guessing game around the letter. 104 p. Contains: Illustrations. Alphablock. Intended for a juvenile audience. New. 2013. Brdbk. Board book. 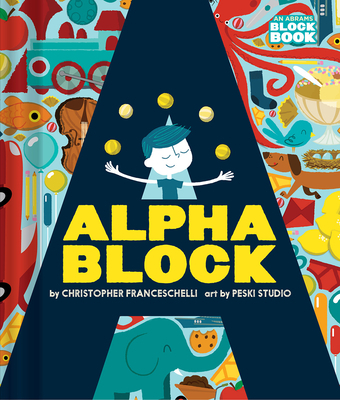 A beautifully unique way to experience the ABCs, Alphablock features thick pages cut into the shape of each letter, creating a peek-through guessing game around the letter. Num Pages: 104 pages, Full-colour illustrations. BIC Classification: 5AC; YBGT; YBLA. Category: (J) Children / Juvenile. Dimension: 167 x 136 x 56. Weight in Grams: 576......We ship daily from our Bookshop.